Who Were the Mayflower Pilgrims? Rebecca Beatrice Brooks July 22, 2018 November 17, 2018 No Comments on Who Were the Mayflower Pilgrims? The pilgrims were passengers on board the Mayflower who settled Plymouth Colony in 1620. The group were some of the first puritans to settle in North America during the Great Puritan Migration in the 17th century. The success of Plymouth colony later paved the way for other Puritans to settle similar colonies in New England. Where Were the Pilgrims From? The Separatist church congregation that the Mayflower pilgrims were members of was originally centered around the town of Scrooby, England. 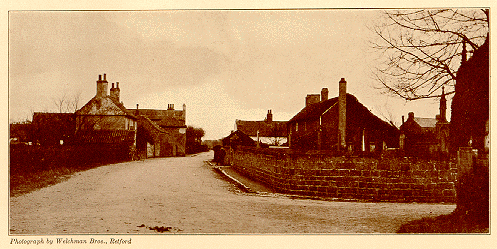 Scrooby is a small village in Nottinghamshire that borders South Yorkshire and Lincolnshire. A preacher named John Smith was the pastor of one of the groups and a preacher named Richard Clifton was the pastor of the other. What Religion Were the Pilgrims? The Mayflower pilgrims were members of a Puritan sect within the Church of England known as separatists. At the time there were two types of puritans within the Church of England: separatists and non-separatists. Separatists felt that the Church of England was too corrupt to save and decided to separate from it. Non-separatists felt that the church could still be reformed and remained in the church to do so. The separatists refused to attend services at the Church of England and instead held their own services where their pastor preached that everyone had a right to discuss and interpret the Bible, that parishioners should take an active part in services and how anyone could depart from the official Book of Common Prayer and speak directly to God. In 1604, the Church introduced 141 cannons, which was a sort of test to flush out nonconformists. These canons declared that anyone who rejected the practices of the Church of England excommunicated themselves and it required all clergymen to accept and publicly acknowledge the royal supremacy and authority of the Prayer Book. Realizing how dangerous it had become to worship their religion in public, the separatists began holding their services in private homes, such as at William Brewster’s home Scrooby manor. Brewster was fined £20, which is the equivalent of $5,000 today, but he refused to appear in court or pay the fine. When & Why Did the Pilgrims Leave England? The group first attempted to leave for Holland sometime near the end of 1607. Due to a statute passed in the reign of Richard II, no one could leave England without a license, which the group did not have. Bradford goes on to explain that after a month in prison, most of the group was released after their charges were dismissed, but seven members of the group, including William Brewster, remained in jail for a while longer. The group made a second and final attempt to leave England the following spring in 1608. The group again hired a Dutch ship to take them to Holland. The group traveled to the meeting place in Immingham, England into two separate boats, one with the women and children and one with the men. The two boats arrived at the meeting place a day before the ship. The women and children were sea sick from the journey and entered a creek to rest in shallow water but their boat got stuck during low tide and had to wait for the tide to come back in. The women were arrested but were not charged and eventually made the journey to Holland too and were reunited with their husbands in Amsterdam. Two separatists communities, one from London and the other from Gainsborough, already existed in Amsterdam when the pilgrims arrived but these groups were so torn with dissension that the pilgrims decided to move to Leiden in South Holland in 1609 in an effort to find peace. After living in Holland for about 11 or 12 years, the group began to grow weary of living in the Netherlands. One of the reasons for this was the fact that a longstanding “twelve years’ truce” between the Dutch Republic and Catholic-run Spain was about to come to an end, which meant war was imminent and if Spain won and regained their rule over Holland, the pilgrims could lose their religious freedom. To make matters worse, King James of England formed an alliance with the Dutch on the condition that he would have control over all English congregations in Holland. As a result, Dutch authorities began to harass the pilgrims. The printing presses that the Separatists used to print pamphlets were smashed and some of the pilgrims had rocks thrown at them. Another reason is that the only jobs available to the group in Holland was in the textile industry, which was hard, physical labor that made many of them “decreped in their early youth” (Bradford 24). Yet another reason is that many members of the group were getting older and some had even passed away, which caused their numbers to dwindle. They feared that within a few years the group might have to separate “by necessities pressing them, or sinke under their burdens, or both” (Bradford 25). Lastly, they also hoped to spread Christianity to “those remote parts of ye world” even if they were merely “stepping-stones unto others for ye performing of so great a work” (Bradford 24). The areas of the New World they considered moving to were either Guiana or Virginia. Guiana was eventually ruled out because the climate was too hot and they feared the Spanish would eventually drive them out. 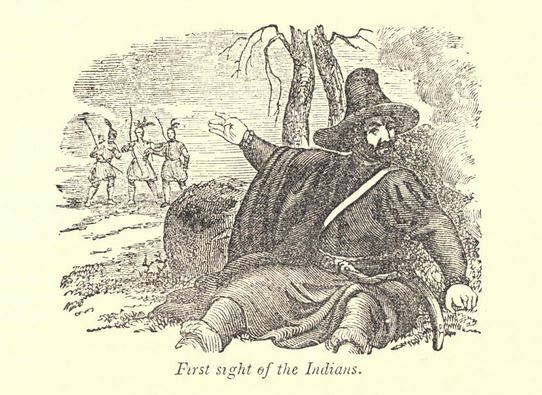 Instead, the group decided on the English colony of Virginia, even though they feared they might be “troubled and persecuted for the cause of religion, as if they lived in England, and it might be worse” (Bradford 28) but they also feared that if they lived too far away from civilization they might not survive. The pilgrims made a deal with the Virginia company to pay for their voyage and in exchange they agreed to build the colony and harvest supplies to send back to England. The group also secured a patent that allowed them to build a colony near the mouth of the Hudson River in North America, which was then considered Northern Virginia. In May of 1620, the pilgrims hired two ships, the Mayflower and the Speedwell, to take them to the mouth of the Hudson River. On July 22, 1620, the pilgrims traveled from Delfthaven, Holland to Southampton, England on board the Speedwell to meet up with the Mayflower. The Speedwell began leaking during its journey to England so the pilgrims spent a week in Southampton waiting while the necessary repairs were made. On August 5, 1620, the two ships set sail for the New World but the Speedwell began leaking again and pulled into Dartmouth on August 12 for repairs. On August 21, 1620, the two ships set sail again but the Speedwell began leaking yet again and both ships returned to Plymouth, England. A few weeks later, when the repairs failed to fix the Speedwell, some of the pilgrims on the Speedwell boarded the Mayflower, while others gave up and went home, and the Mayflower set sail alone from Plymouth, England on September 16, 1620. How Many Pilgrims Were on the Mayflower? There were 46 pilgrims (Separatists) on board the Mayflower. In addition to the pilgrims there were also 30 non-separatists, dozens of personal servants and 36 crewmen as well as two dogs and some farm animals. In late November, Susanna White also gave birth to a baby, Peregrine White, on board the Mayflower while it was anchored in Cape Cod Harbor. When Did the Pilgrims Arrive in New England? The Mayflower passengers first sighted shore on November 9, 1620. 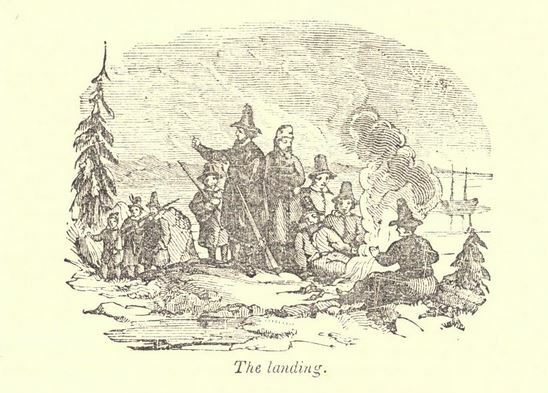 The pilgrims quickly realized once they reached shore that they were in New England. After discussing the matter, they turned the ship south and began to sail for the mouth of the Hudson River but ran into bad weather and had to turn back for Cape Cod, according to Bradford. With winter fast approaching and dwindling supplies on board, the group decided to stay in New England. On November 11, 1620, the group drew up a social contract, now known as the Mayflower compact, to establish basic law and order in the colony since they didn’t have a patent for that area. Where Did the Pilgrims First Land? On November 11, 1620, the Mayflower first landed at what is now modern-day Provincetown, Massachusetts. While anchored at Provincetown, some of the passengers went on several expeditions on land but got involved in a skirmish with the local natives, an event known as the First Encounter, and decided to pick up anchor and sail to nearby Plymouth harbor where they landed in mid-December. Where Did the Pilgrims Settle? This common house was about twenty square feet in size and was located on the south side of Leyden Street near the downward slope of the hill. On January 9, 1621, the group began building two rows of houses, which were located on each side of modern-day Leyden Street. 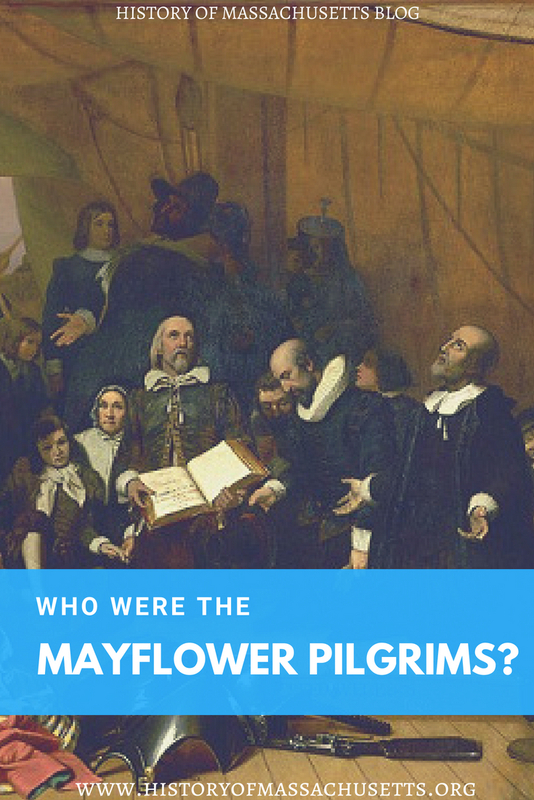 Due to the fact there wasn’t enough adequate shelter for all 19 families yet, many of the pilgrims spent the winter on board the Mayflower. The site of the original village stretched East to West between Burial Hill and Water street and North to South between North Street and Leyden Street. The village was located at the site of an abandoned Wampanoag village called Patuxet where approximately 2,000 Wampanoags had lived before an epidemic decimated the village in 1618-19, prompting the surviving Wamponaog to abandon it. Why Were the Mayflower Pilgrims Called Pilgrims? A pilgrim is a person who travels to a sacred place for religious purposes, a journey that is known as a pilgrimage. The name “pilgrims” wasn’t applied to the Mayflower pilgrims until the late 1700s, after excerpts of William Bradford’s manuscript, Of Plymouth Plantation, was printed in Nathaniel Morton’s book New England’s Memorial in 1669. Bradford compared them to pilgrims because they were embarking on what they saw as a religious journey. Prior to this, the Mayflower pilgrims were called the Forefathers or the Pilgrim Fathers and Pilgrim Mothers. In fact, December 22 is a holiday called Forefather’s Day that is celebrated in Plymouth, Mass in honor of the pilgrim’s landing at Plymouth in December of 1620. How Did the Pilgrims Dress? Contrary to public opinion, the pilgrims didn’t really wear all black clothing and hats and shoes with buckles on them. These are 19th century depictions of them that are not historically accurate. The pilgrims instead wore late Jacobean-era clothing like doublets, breeches, waistcoats and petticoats in a variety of colors. Check out this article titled What Did the Pilgrims Wear? for more information. If you want to learn more about the Mayflower pilgrims, check out the following article about the best books about the Mayflower pilgrims. Huish, Marcus Borne. The American Pilgrim’s Way in England: To Homes and Memorials of the Founders of Virginia, The New England States and Pennsylvania. London: The Fine Art Society, 1907. Print. Mourt’s Relation or Journal of the Plantation at Plymouth. Boston: John Kimball Wiggin, 1865.